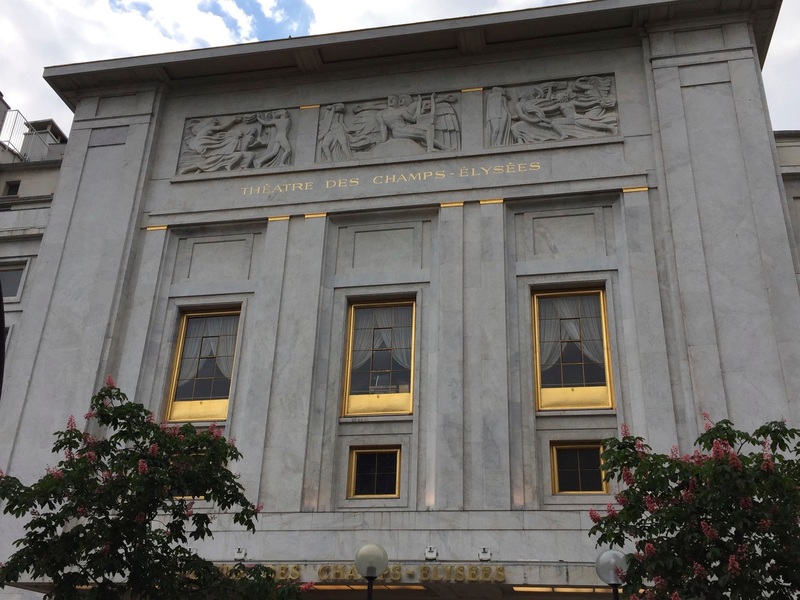 The Théâtre des Champs Élysées in Paris, home to the riotous premiere of Stravinsky’s Le sacre du printemps. Mirrors and circles come to my mind when I think of my love for Paris. Reflections of the city are found all over the world and, like the circular arrangement of its arrondissements, Paris always returns. Whoever said that all roads lead to Rome must have known that Paris wouldn’t need any help. My position as artistic advisor to the Hà Nội New Music Ensemble gave me the opportunity to return to Paris in May. The purpose of the trip was to lay the foundation for long term French alliances for the new music wave I’m leading out of Việt Nam. As you’ll see in the next few years, the trip was a big success, and I’ll be posting more about various aspects of these meetings this summer. But my wife Jan and I also needed to pay an important visit to an iconic Paris location that we’d never managed to find time to visit on other trips. Quarreling with fate is never productive. And when dealing with Việt Nam, Paris is never far away. 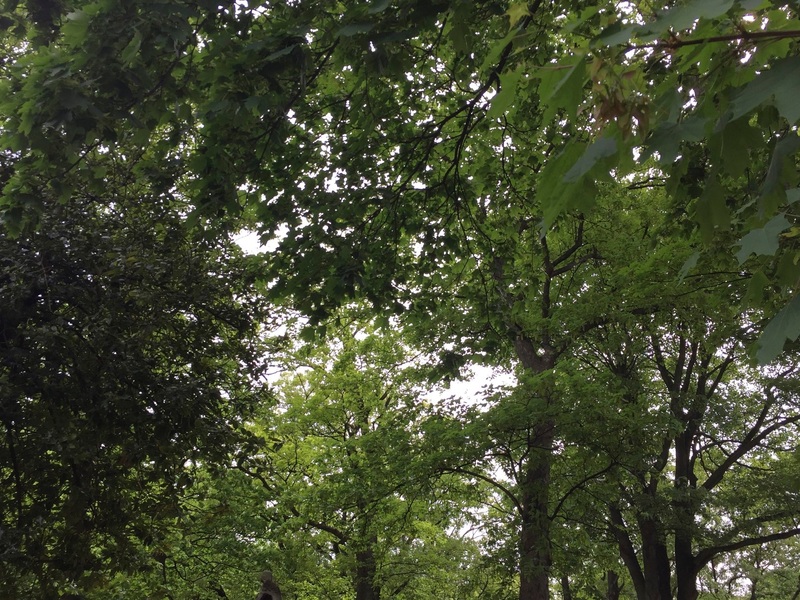 Floating trees in the breeze are comforting at Père Lachaise Cemetery. I should also share a little about my personal musical development. Yes, I have a long German last name, speak that language fluently (my French is passable, and though as a musician my ear helps my accent approach the real thing and is applauded by the French, I’m no where near fluency), and spent the most important years of my education in Vienna, mentored by Roland Berger of the Vienna Philharmonic Orchestra. Ties run deep, as Schoenberg’s exiled family are best friends and his grandson Randy, of Woman in Gold fame, supports our Los Angeles concert series in inspiring ways. But Paris has played perhaps an equal role in shaping my love of music. My mother never tired of telling me that as an infant I would refuse to take my afternoon nap unless she would put either Offenbach’s Gaité Parisienne or Tchaikovsky’s Swan Lake (think Paris Ballet and Nureyev) on the record player in our West Hollywood apartment. When the Offenbach record wore out she had to take me to a record store (remember those, anyone?) to secure a replacement copy. 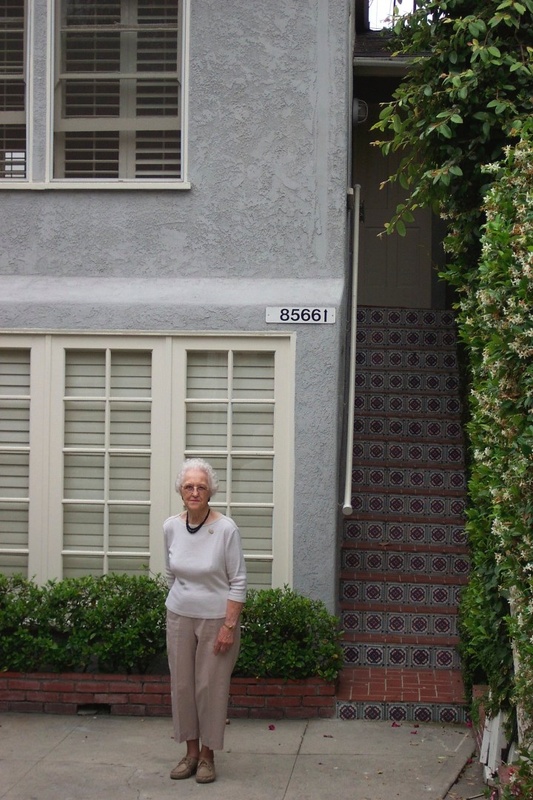 My mother Louise at our West Hollywood apartment in 2002 for her 60th wedding anniversary. The first opera I went to was of course Bizet’s Carmen (on a Met tour to Los Angeles). And perhaps, most importantly of all, I still have a youthful and passionate memory of the moment I decided to become a musician. The concert that made me go from interested young student to knowing I’d found where I wanted to be and never, ever, leave, was a Los Angeles Philharmonic performance of the Four Scenes from Romeo and Juliet by Hector Berlioz. Carlo Maria Giulini was the conductor (before he was music director). After that performance I’ve never looked back. And when I’d fallen in love with new music a few years later, I accepted that Debussy, Ravel, Stravinsky (as in the photo that begins my post), Messiaen, and Boulez are determinative Paris influences. And a Fun Fact: my mom often recalled that when we went to Sunday Mass at St. Victor’s Church on Hollaway Drive, Stravinsky would often be in the congregation. As I said, my love of Paris involves the circles and mirrors of my life. 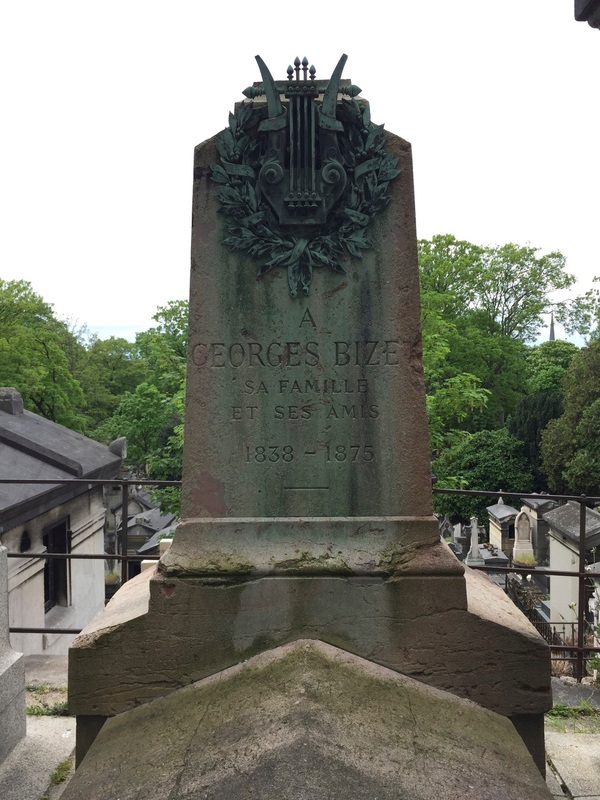 The grave of Georges Bizet at the Père Lachaise Cemetery. In my last post I discussed our meeting in Montmartre with composer Gilbert Nouno. 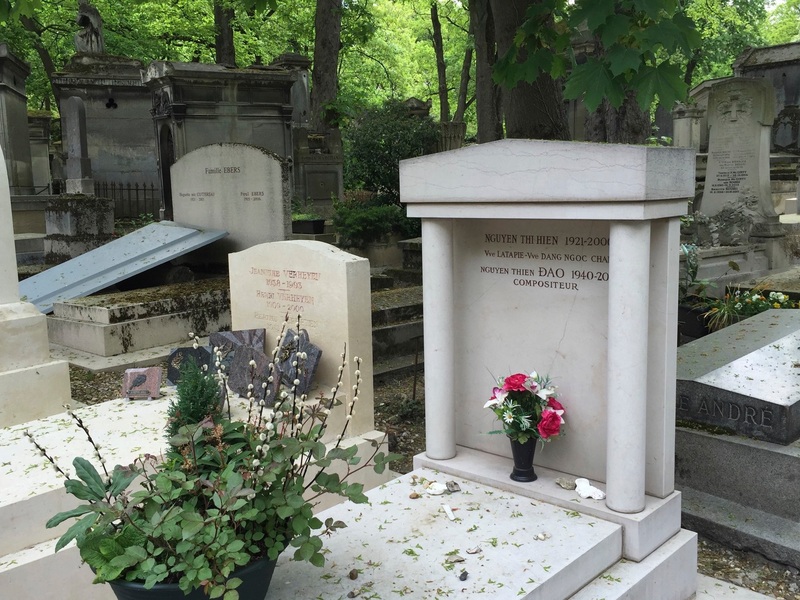 Before we met with him, we paid an obligatory stop to offer our respects to Hector Berlioz, who is buried in the Montmartre Cemetery, along with Nijinsky, Boulanger, Offenbach and others. Because Berlioz was not only determinative for me. For my wife Jan, Berlioz’s Symphonie Fantastique was the first concert she played at Tanglewood with Seiji Ozawa, lest we forget that the Boston Symphony’s tradition was shaped by Pierre Monteux, who conducted the premiere of Le sacre du printemps, and Charles Munch. Some concerts one never forgets. And when given the chance, paying homage to the people who shaped your life becomes a necessary pilgrimage. 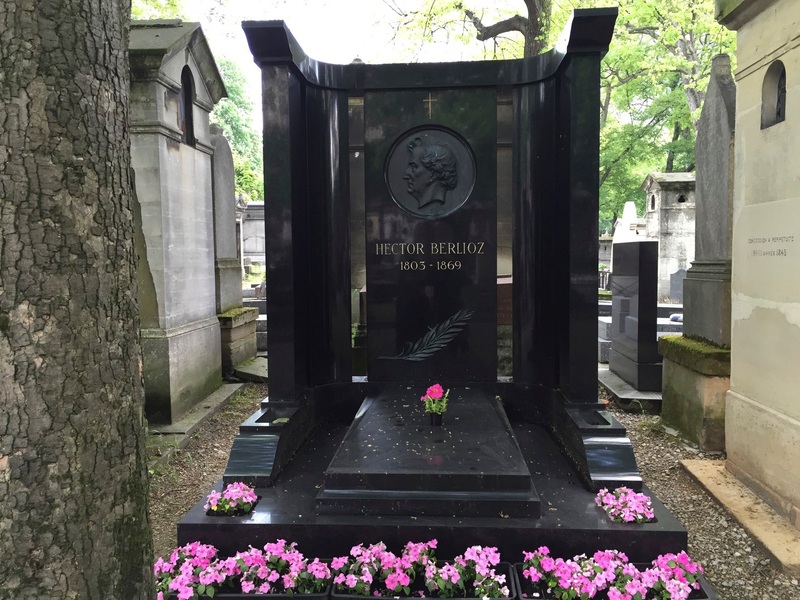 The grave of Hector Berlioz in Montmartre. Don’t worry about finding it. 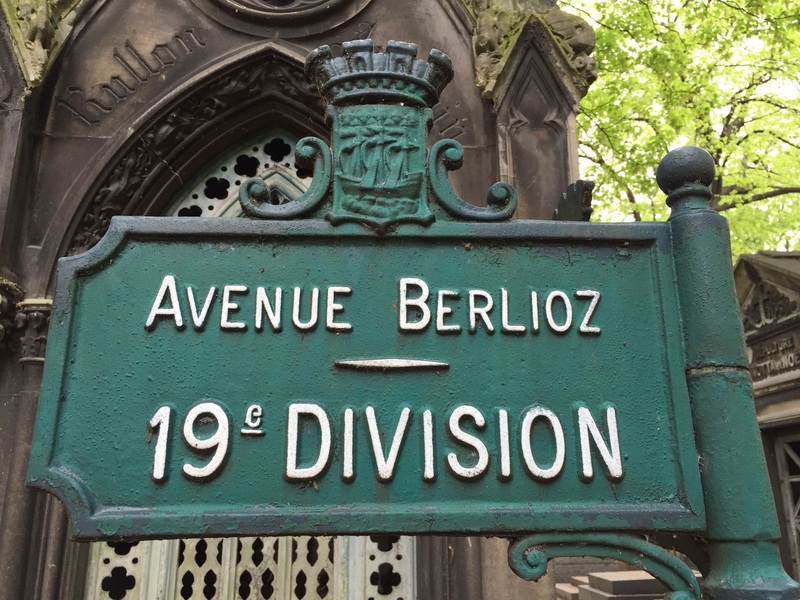 Berlioz has his own avenue. Avenue Berlioz in the Montmartre Cemetery. Nothing is random. But the timing of events often remain difficult to accept. And then, once the tears and the shocks are gone, serious reflection is needed to absorb loss. I had with great anticipation waited for a new work from Nguyễn Thiện Đạo for my Los Angeles International New Music Festival last summer. Our camaderie over the years was genuine and ideas were fluid and enthusiastic. But our correspondence slowed after a very promising discussion we’d had in Hanoi in 2013. A 2013 Hanoi lunch with friends Hướng Vũ Thủy, Bẩo Quốc and Nguyễn Thiện Đạo. And then, seemingly without reason, our correspondence stopped. I suspected perhaps a busy schedule got in the way, perhaps other commissions, but also sensed something was not right. There was little comfort when one of my young violinists in the Hà Nội New Music Ensemble, Khánh Linh, translated a Facebook post for me. 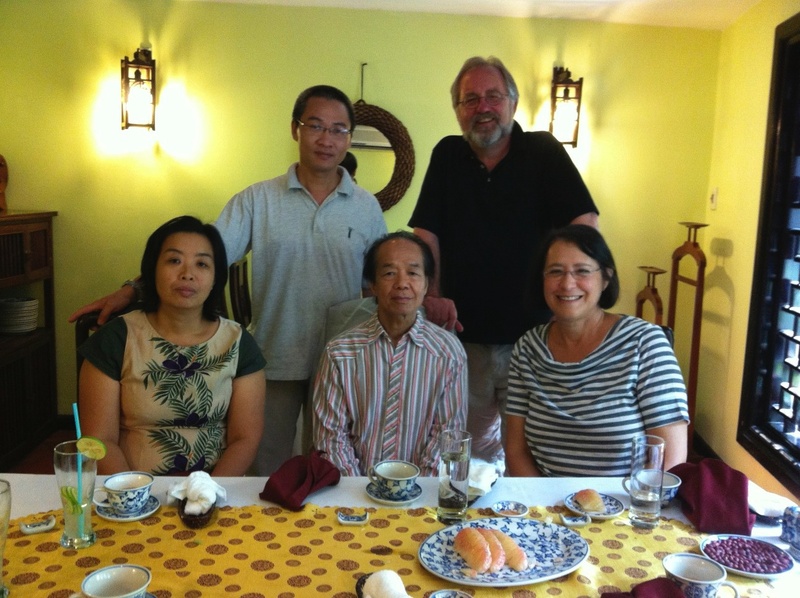 After we returned home from the encouraging debut of the Hà Nội New Music Ensemble in October, Linh told me that Đạo had passed away in November in Paris of cancer. He was a youthful 75. I never thought we would, in a thousand years, visit the Père Lachaise Cemetery in Paris to honor a friend buried not far from Frédéric Chopin. Paris circled our lives as we slowly wandered the beautiful tree lanes and stony paths of Père Lachaise on that cold cloudy day. History, when matched with location and geography, is always a better story. 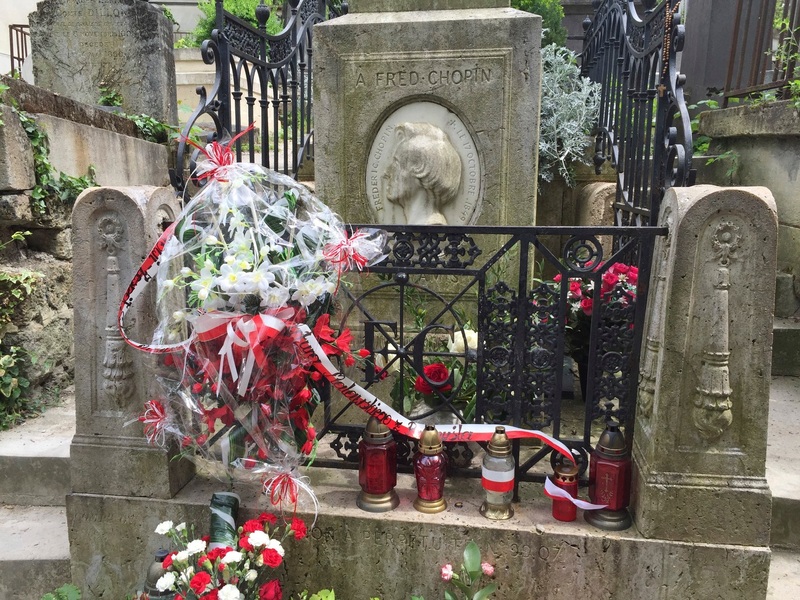 The most visited grave in Paris belongs to Frédéric Chopin. That afternoon Paris became a different city for us. We wistfully brushed memory tears away as we thought of our performances of Đạo’s relentless music in Hà Nội and Los Angeles. Hopes from our happy lunch together in Hanoi and our future dreams for new music in Việt Nam floated in the air of a Paris silence, interrupted only by the comforting chirps of random bird calls and the gentle breezes animating the trees. Paying our respects to Nguyễn Thiện Đạo, a proud student of Olivier Messiaen and a founding father of new music in Vietnam, was emotional. And we knew that he now must become a patron saint for the Hà Nội New Music Ensemble, rather than the advocate in real time we had imagined. His Paris tomb physically connects Vietnamese new music to Europe’s spiritual capitol in ways that are unrivaled throughout Asia. I like good stories, and this is one of the best. When dealing with Việt Nam Paris is never far away. At the Pêre Lachaise grave of Nguyễn Thiện Đạo. Circles and mirrors always appear to me when I’m in Paris. We were there for Mother’s Day this trip, which is always a bit nostalgic for us as our moms are now Guardian Angels looking down from heaven. They never saw Paris, but like most of us, would have loved it. I can hear my mother’s voice clearly when I’m in Paris, as she’d talk about this dish or that, helping me often, daily, make a white sauce (which I now know was a bechamel) and, with my dad, spent a full career successfully running a restaurant while serving the wide spectrum of Hollywood’s Golden Era stars. She’d love the service in Paris, that’s for sure. 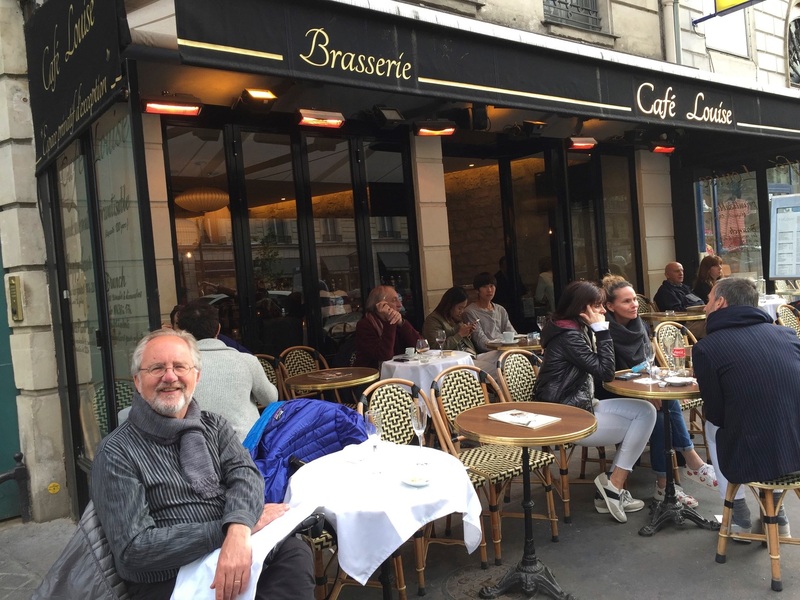 So when this St. Germain cafe appeared, I knew where we’d head for some great reflections and memories as we watched the world go by. My mom’s name seems to find me whenever I’m in Paris. Café Louise in St. Germain. 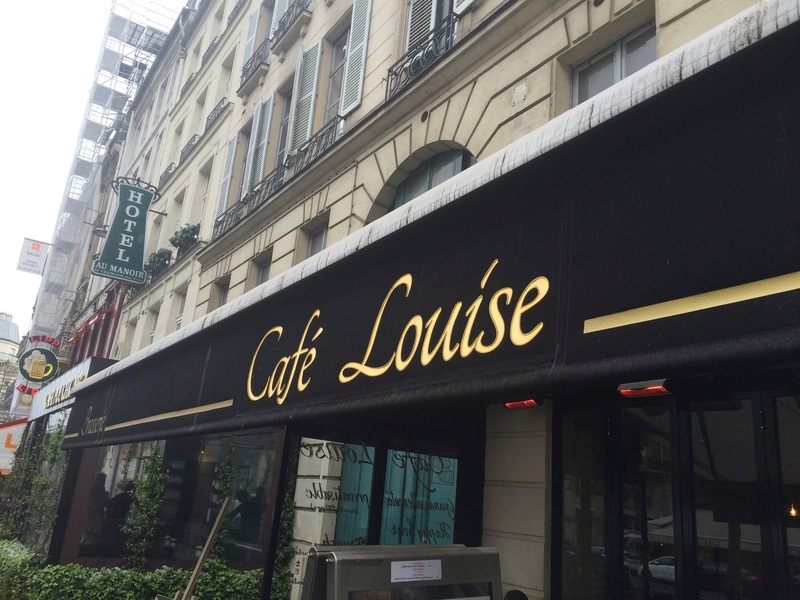 Happy memories at Café Louise in St. Germain. Culture does not survive by accident. Most people aren’t aware, for example, that the Vienna Philharmonic pays for the upkeep of Beethoven’s grave, or that the Japanese have their ancient sites on a permanent schedule of restoration, down to maintaining the forests where the wood is harvested. They don’t understand the concept of a ruin. The best way to preserve the old is to do something new. If you stay only on one path, you’ll eventually just get lost.